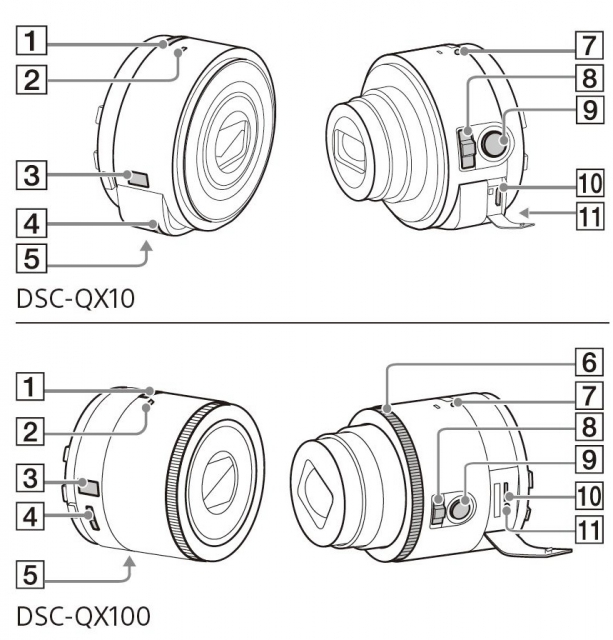 Leaked manual pages for the upcoming QX10 and QX100 Sony iPhone-compatible lens attachments reveal new details about the rumored products. SonyAlphaRumors posted the following diagram and details from the manual. According to the site you will be able to control the lens using your smartphone or tablet via Wi-Fi or NFC. They can be magnetically attached to your device and will work on iOS and Android. 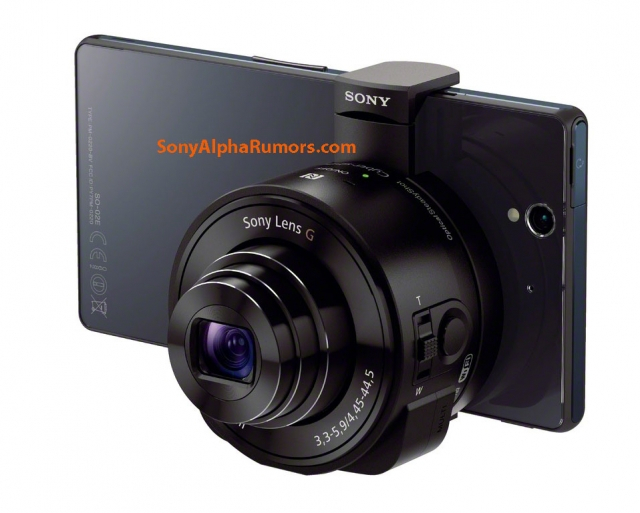 The QX100 is said to have a RX100MII sensor and Zeiss lens. 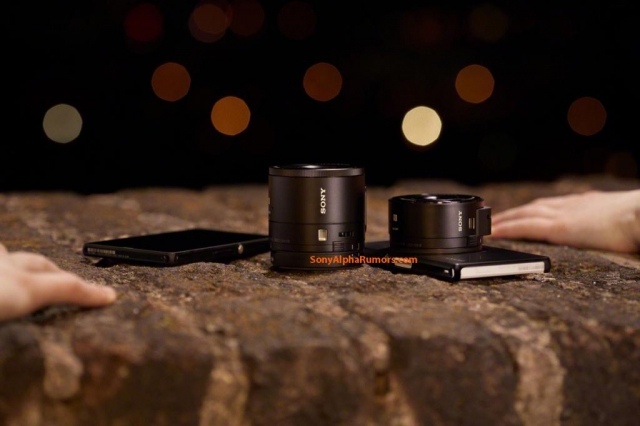 The QX10 has the same 1/2,3 inch 18 megapixel CMOS sensor and f/3,3-5.9 lens as the Sony WX150 .